Although spring has been slow to arrive this year in Toronto, plenty of babies have already been born at the Toronto Zoo. Over a few visits in the past two weeks, the kids are I were lucky enough to get to see the Toronto Zoo babies in action and get some great photos. Already standing quite tall, the zoo introduced one adorable baby giraffe in October. The cutest feature of Mastari, a baby girl, has to be her fluffy horns. Born January 10, 2014, the baby gorilla is an incredible sight to see. 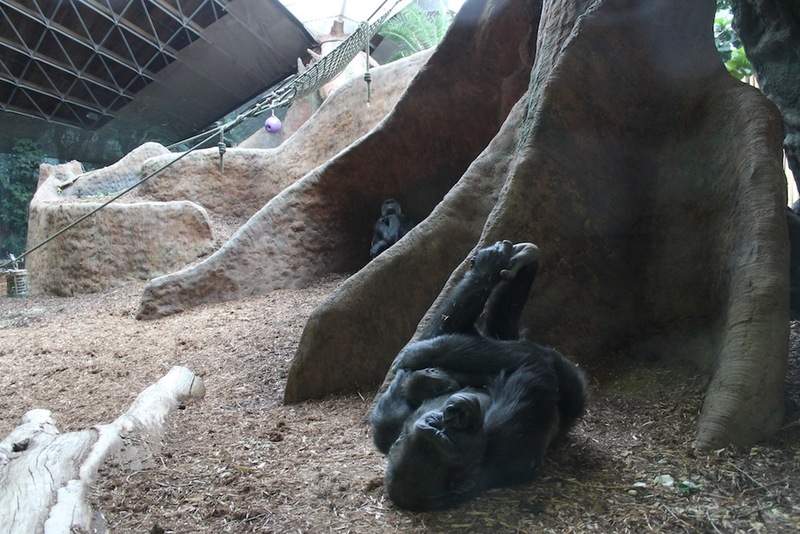 We got to see mom Ngozi protectively cuddling the baby while also showing her off a little to an anxious crowd. 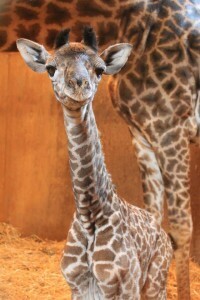 The zoo recently determined that the baby is a girl and are asking for help naming her. Traditionally, all the gorillas at the zoo share the same first letter of their name with that of their mother so the name must begin with a “N”. If you have a submission be sure to enter it in the naming contest before noon on April 27, 2014. The zoo will announce the name at the end of April 2014. The ring-tailed lemurs are some of my favourite animals on exhibit at the zoo. I was happy to hear in total 5 baby lemurs were born this year. 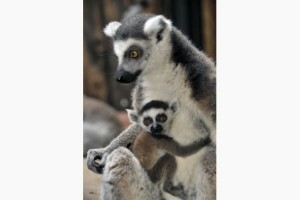 To see the baby lemurs, you want to look closely at the females who are carrying the adorable babies on their chests. Charlie and I fell in love with the babies and definitely would have stayed all day if we could have. Humphrey is by far the most famous baby at the zoo thanks in part of his adorable antics that the zoo has posted to YouTube. 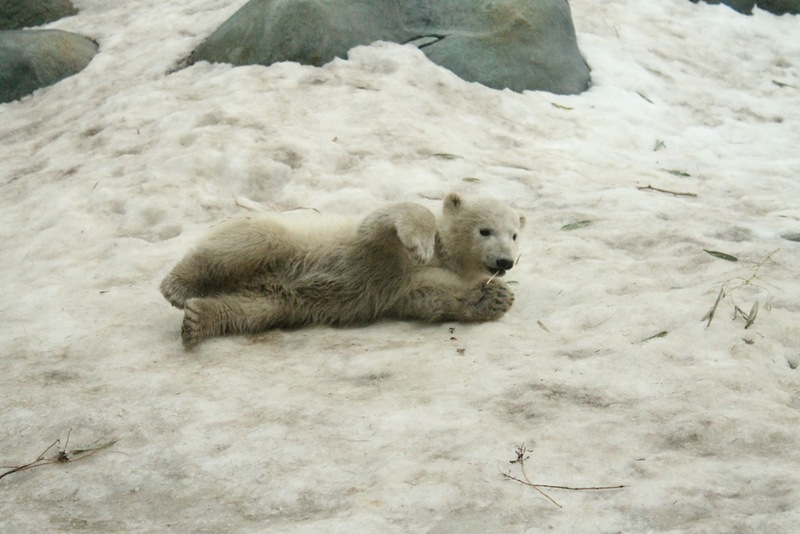 The cub is outside in his nursery from 10:00 am to 4:00 pm daily. When he is not sleeping, he is as active and playful as a puppy. The kids and I were welcomed by a very alert Humphrey who jumped up and down when he saw us coming. He then interacted with us at the window and tried to feed us straw. Plan on spending more than a few minutes at this exhibit. The first birth of 2014 was Leia a female Zebra. 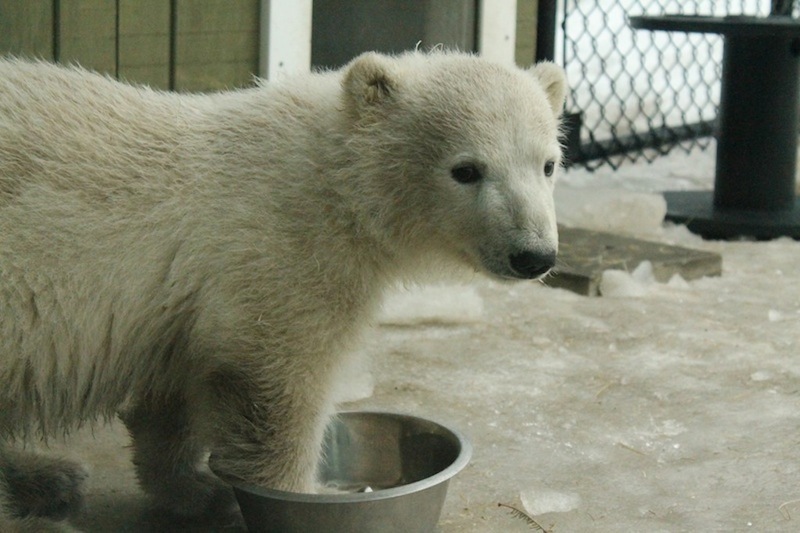 She joined Luke, a male, born in November 2013. The two youngsters will be galloping in the African Savanna as soon as Spring has finally sprung in Toronto.